Registration will begin at 9:30 am. Check out the 2018 HHH Run Photos! Hope, Honour and Heroes was created within a community that shared a common goal. Together, we will shed light on childhood mental illness. Our children need our help. Mental Illnesses are surprisingly common in children and youth. Unfortunately, only one in five kids and teens in Canada who need mental health treatment can get it. There are many reasons for this. Parents and caregivers can have mixed feelings about getting their children help for their mental illness. They may worry about being blamed for their child’s change in behaviour, or they worry about what treatments may be tried. Mental illnesses can be frightening, and many people worry what others will think if they talk about their experiences. The good news is that mental illnesses can be treated successfully, and early treatment can help reduce the impact of a mental illness on your child’s life. 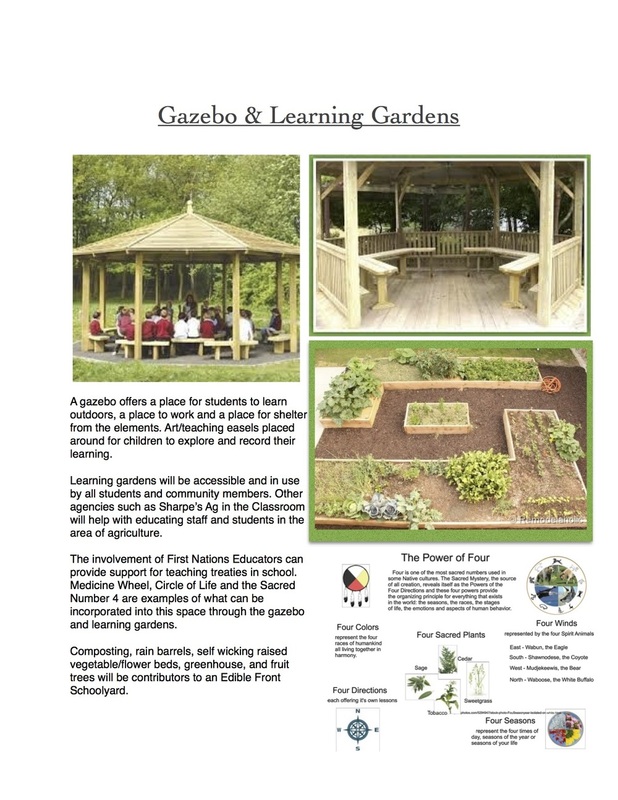 This Centre is necessary to facilitate outdoor learning which supports the development of self esteem and confidence using a natural environment. Children spend most of their waking hours in school. It is therefore no surprise that the school environment affects the mental well-being of children. 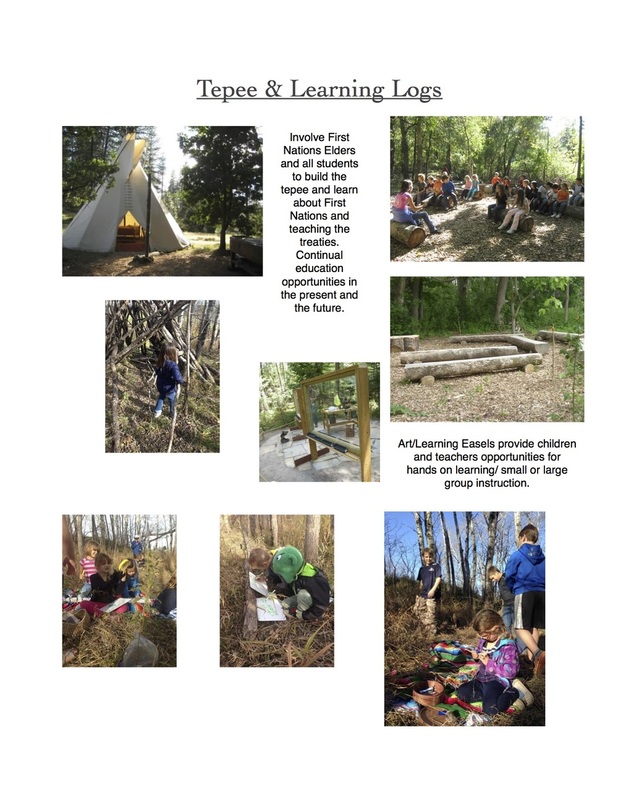 Outdoor education is an environment-focused educational approach character- ized by action-centred and thematic learning processes frequently involving outdoor activities. It aims to foster learning through the interactions between emotions, actions and thoughts, based on practical observation in authentic situations. Examples of beneficial effects of experiences in nature on child development and well-being are improved cognitive functioning and ability to apply self-disciplined behaviour, better psychological well-being and capacity to cope with adversity and a reduction in anti-social behaviour such as violence, bullying, vandalism and littering, as well as a reduction in absenteeism. When I was 7 years old, I remember vividly holding my brother, Scot’s hand and running through the back lot from our house to my aunt and uncle’s. There was a small area of bushes and a great big huge rock (a boulder really) right in the middle that we had to pass each time we went there. This one particular day, Scot told me that the rock was a “bush monster”. It sat partially in the bushes but still out far enough that you could see it. It was covered in moss and surrounded by weeds. It really did look like it could be a “monster”. I would squeeze his hand a little tighter, hold my breath and close my eyes as we ran past it until we were “safe”. He would always say “don’t let go or it will get you!” I am pretty sure I still ran though those bushes and past the “bush monster” until I was at least 17. The irony in this story is that growing up, with all the “scary” things in life that came my way, as long as I had my brother’s hand, I was always safe. 21 years later, I stood up in front of an over-crowded church, shaking terribly. Through uncontrollable tears, I saw at the top of the pages that I held, the words: “Scot’s Eulogy”. Those bushes and that rock symbolized something so dark and powerful. And as long as my brother held my hand, I could get through them just fine. Anyone can get through anything as long as they do not feel alone. That rock forced me to hold on to him tighter and allow him to get me though to the other side. But as we grew up and changed, and I wish I knew exactly when it happened, we let go of hands and he was right, that’s when darkness got him. I have always been open about Scot’s death. I think it helped me heal in some way to be able to share my story. I have a very clear memory of holding my brother’s hand while he laid in a hospital bed in Medicine Hat on life support. They had not removed the ventilator yet so it was very difficult for me to see him attached to so many machines. I knew this is not how I wanted to remember him. He was always smiling and joking around. I was envious of his carefree personality. But I also knew there were layers to him that he tried to keep hidden. He struggled with addictions, and he had a temper that didn’t come out often, but it was there. His highs were high and his lows were low. He had 3 beautiful children who were his reason for living and soon to be his reason for dying. When his marriage hit rock bottom once and for all, he got to the place where he truly believed his kids were better off without him. I don’t know if they will ever believe that. How could they ever understand that their dad loved them so much that he chose to leave them behind?? My brother took his last breath on November 7th, 2009 with my parents there by his side. end his suffering, it would stop his pain, and he thought everyone would be better off without him. What he didn’t think about was all the anger, the pain, and the turmoil that he would be leaving behind......for us! His own life here in this world stopped, but everyone who loved him had to find a way to keep going. We still had all the years of his bad marriage left to deal with and 3 wonderful kids to fight for. That battle alone almost permanently destroyed my family. And here we are today. Somewhere between then and now, we all had to learn that the world keeps turning with or without the people you love in it. We had to learn to let go of things we can not change, and grow from our life lessons. We needed to find healing in ourselves and in each other. And one of the most significant days of our journey was the day my sister Crystal told us she found an organization in Winnipeg who raises money for mental awareness and suicide prevention. We were not at a great place in our relationships with each other but it turned out that we wanted to move forward in the same direction in memory of Scot. 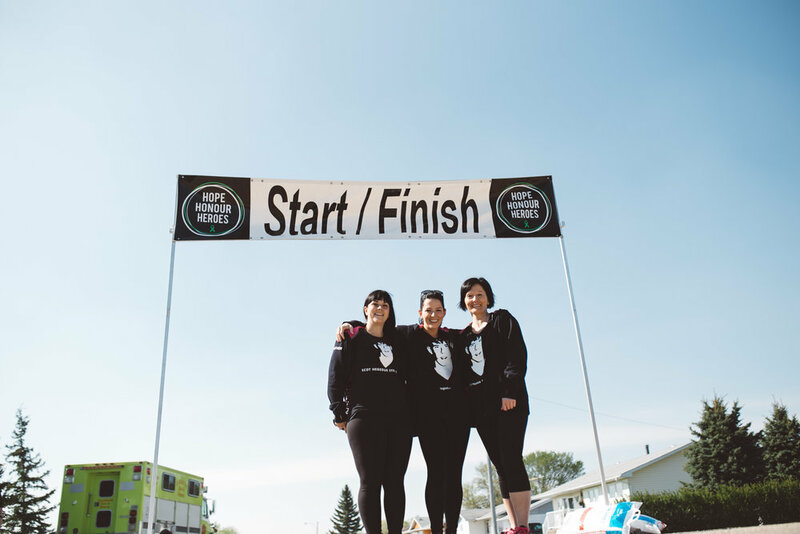 We ran our first run in the Andrew Dunn Memorial Run/Walk in Oakbank, MB in May of 2011. That day changed our perspective of our own loss. My brother did not die for nothing. We see that our fight for something so important to us can change the ending to someone else’s story. My brother fought his demons his entire life and now we will continue the fight for him. On May 15th, Team Hegy will lace up our runners again and run for something so dear to our hearts. We proudly wear our black t-shirts with Scot’s face and name on them and we run for him. So many people fight the battles everyday like my brother did and they do not know where to go or even if there is help out there. We fight so people can be educated on the signs of depression. Mental illness comes in all forms and is a disease that we need to know more about. It is not a disease that shows on the outside. But it is real and it is serious. We need to do what we can to create awareness and make the means available for people to get help. We need to stand up when people who are secretly suffering cannot do it themselves. At a time when my family did not know what to do or where to go, the Andrew Dunn organization was there for us. It is now our turn to pay it forward. Thank you for your unconditional love and support all these years. We continue to get stronger and it is because of you.